Very pleased, use it every night. Untill I got this wedge pillow, I had been sleeping in my recliner. It was just what I needed to prop myself up and make it possible to sleep in my bed again. was just what I was looking for to prop my sore legs on at the end of long day. very nice way to ease my throbbing legs and feet. I currently have one of these pillows. At first I used to put it directly under my legs/feet until I found that I was always kicking it out in my sleep. I now put it beneath my mattress and it does a good job of elevating my legs/feet. I have a condition know as Lymphedema (aka elephantitis) and my legs/feet are always swollen and very painful at times. I currently have the one wedge under my mattress in the center and hope to use the second alongside the current one to balance out both sides of my full sized mattress to provide equal elevation. Lg size need,s to be 1" more on the longest side. It fit real tight, but I cut off the small end of the foam pillow and it fit nicely. Bought two of these covers to replace covers for existing foam cushions I had been using for many years. This cover had an overlapping close probably as cost saving measure to eliminate need for zipper. I liked the zipper. I thought this was a lot of money to pay for two covers for two cushions. I still need to buy or make cushion covers to display these on the bed, and put zippers on them. I bought this pillow because it had an original cover that looked zippered. It turned out it was not and it was not easy to remove. So I had to purchase another cover and it was better, a little heavier, but also not zippered like the picture. Too small for my wedge. Despite the fact that the measurements assured me that this would fit my wedge pillow, it did NOT even come close! I am completely disappointed in this fact since I am disabled and bed ridden and use my wedge on a daily basis. It's current use is to gather dirty laundry in. I have been thrilled with everything else I've purchased from MK except this useless piece of white cloth!! 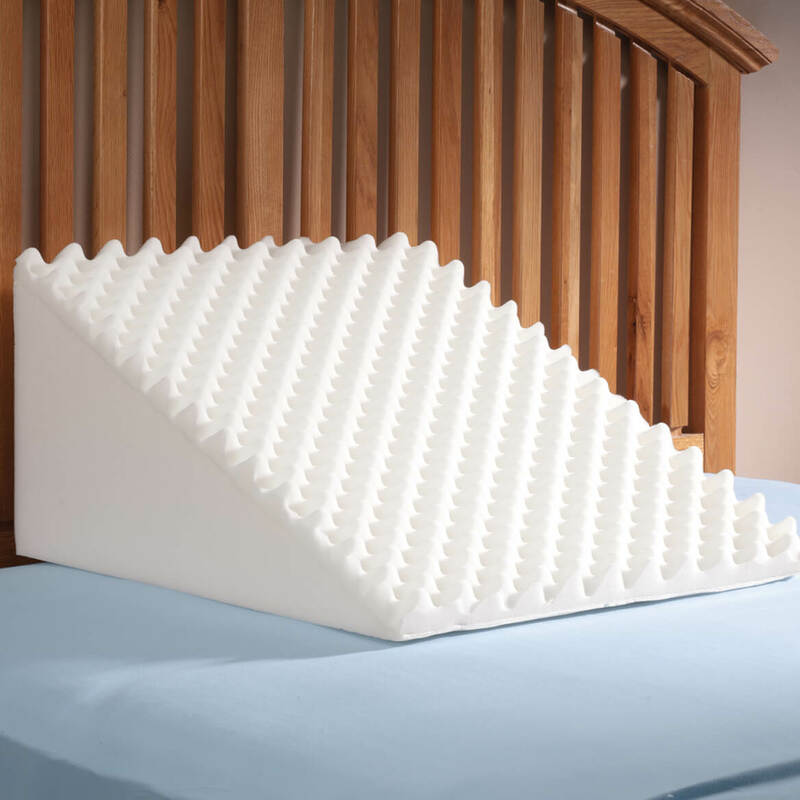 It will help keep the wedge support pillow clean. I trust Walter Drake and their products. I am disabled and they make it easy for me to shop! These covers are hard to find, this was also a good price. My other wedge pillow covers need very much to be replaced!!!!! Needed this cover for my wedge pillow. Wish that it was offered as part of the pillow cost. Needed to cover the edge pillow and this is where we found the case. only place I could find online to buy it. The covers for our wedge had gotten very grungy. in catalog so I purchase it. Can help me rest better. Looking for a replacement cover for so long. Couldn't find one that would fit. I needed the large one. I sleep on the wedge every night, so I need to be able to put a clean cover on the wedge weekly. so that i can sleep with my head propped up. I have reflux disease and find that these are helpful. Hoping to improve our quality of sleep. Because the original cover that came is falling apart in less than two weeks. Also, I feel that there need be ones to trade out when the regular linen is changed for a fresh and clean good nights rest. So I would have an extra cover when I washed the one that came with my pillow. Need it and the price is right. what are the dimensions of these covers? BEST ANSWER: Thank you for your question. All the wedges are 22 1/2" long x 22 1/2" wide. The small wedge is 7 1/2" high, the medium wedge is 9" high, and the large wedge is 12" high. We hope this information will be of help to you. Are these pillow covers zippered? BEST ANSWER: The description is rather vague, so I did buy an extra pillow cover for this pillow. When pillow arrived it did have a zippered cover already. Yes they are. They work great on the wedge pillow too. Is the pillow and pillow case all togather? BEST ANSWER: Yes it is. My suggestion is to look at the way you take off the old one and lay the new one out the same way. 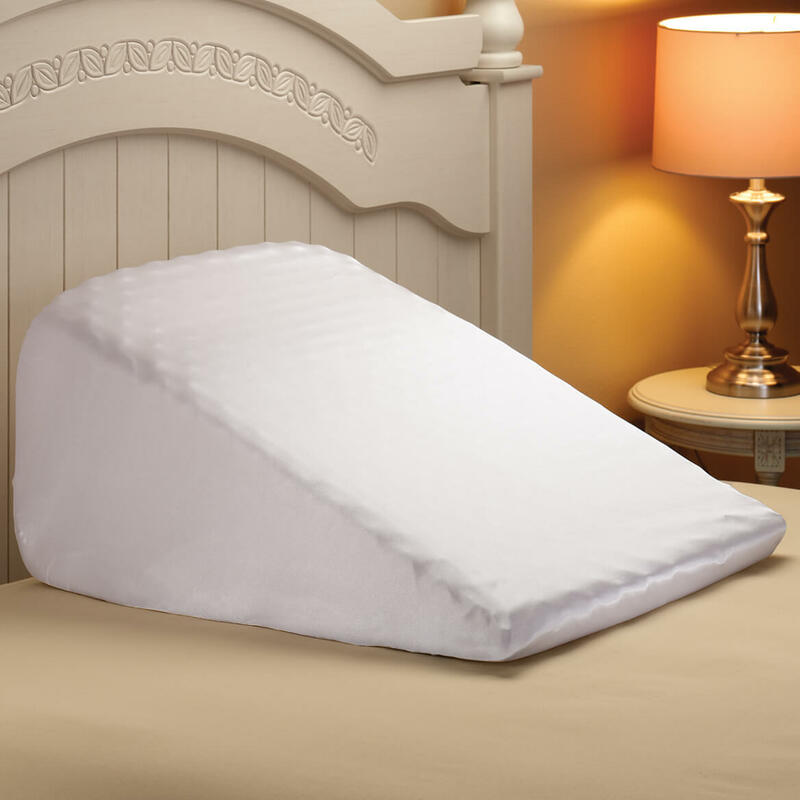 This allows for less having to turn and reposition the pillow. WHAT ARE THE SIZES? SMALL? MEDIUM? LARGE? 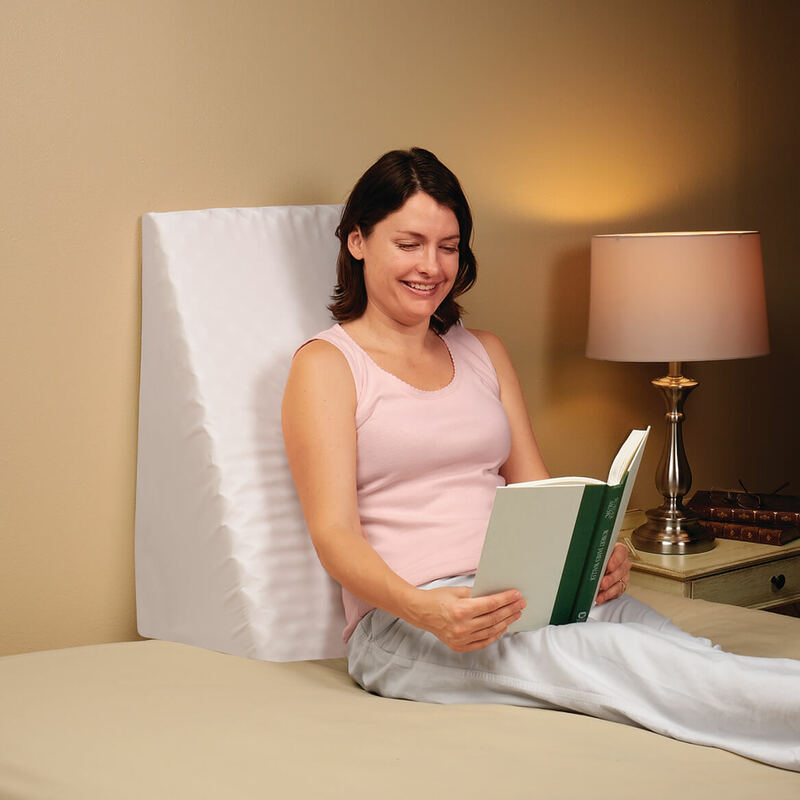 FOR WEDGE SUPPORT PILLOW COVER. BEST ANSWER: Thank you for your question. All wedges are 22 1/2" long x 22 1/2" wide. Small wedge is 7 1/2" high; Medium wedge is 9" high; Large wedge is 12" high. We hope this information will be of help to you. WHAT IS THE WIDTH AND LENGTH OF THESE PILLOWS? BEST ANSWER: Thank you for your question. All of the wedge pillows are 22 1/2" long x 22 1/2" wide. The small wedge is 7 1/2" high , the medium wedge is 9" high and the large wedge is 12" high. We hope this information will be of help to you.